Remaining relevant and adapting to changes in trends is nothing new for South African shopping malls. It’s part of doing business, and staying relevant with shoppers. After all, the retail sector itself constantly and rapidly evolves, and is led by shifts in generational consumer expectations and behaviours. The only difference is that today; it’s happening much faster. It’s also fuelled by shrewd retailers, digital natives and technological disruption. As we head into 2018, let’s take a look at some of the exciting retail trends to look out for. Shoppers have simply become more price conscious. If you want feet through your retailers’ doors, you’ll have to provide them with the goods they want, and the great shopping experience coupled with endless choice. They want to find this all in one place, and you will need to deliver it. Budget-minded consumers from all income groups continue to weigh a variety of value factors. These factors all influence their purchase decisions, and where they shop. From the decision of their sneakers to the shade of their nail polish, people continue to prize personalisation. They need to be recognised as individuals, and communicated with as such too. 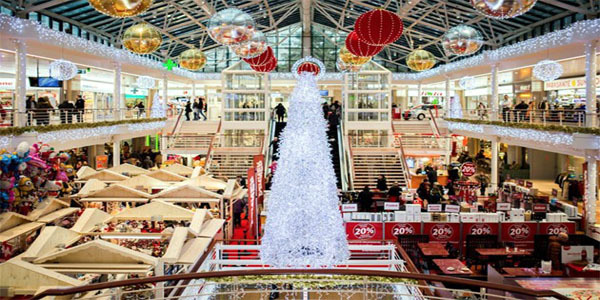 Integrating technology into the shopping experience, from proximity mobile marketing to social media will help shopping centres to deliver on personalisation. Anxiety continues to drive the pursuit of a healthier lifestyle. People feel stressed out, and they’re looking at better ways to manage their health. This is one of the main trends in driving health and sports shops, along with other retail areas in the mall mix including fashion and food. In an uncertain world with so many choices, media continues to portray unrealistic ideals of aesthetic and beauty. Helping ease the stress of this in your consumers with supportive retail brands and experiences will help people feel and look good, and build a good following among returning consumers.